First called High Rise, this strain of marijuana was developed in one of the tall buildings in Amsterdam's Bijlmer area. Coffee shop owners and marijuana lovers alike fell head over heels in love with this exclusive tetraploid cannabis strain. By popular demand, this Hindu Kush / Skunk hybrid was stabilized and marketed, and it has been a classic ever since. 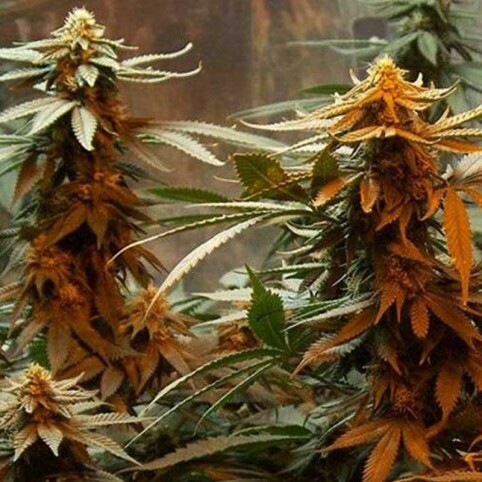 Master Kush seeds develop into strong cannabis plants of medium height and bushiness. Master Kush is a heavy producer which thrives in soil, hydro and greenhouse growing systems. It has a pleasantly earthy, mossy smell and its smoke is smooth.